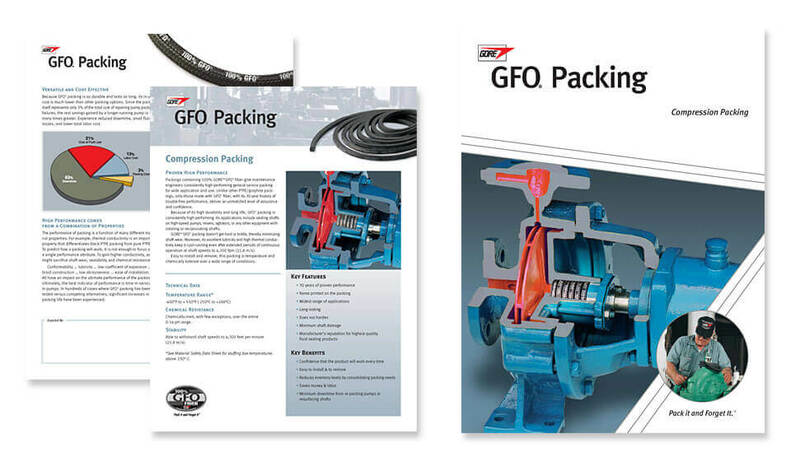 GORE® GFO® packing from W. L. Gore & Associates has been the industry’s leading pump packing solution for three decades. In recent years, “look-alike” entrants have come into the market. 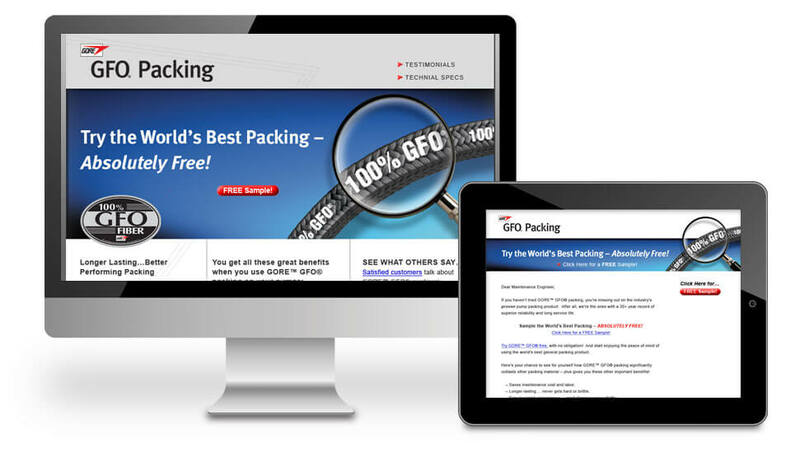 They don’t perform as well, but their similar appearance to GFO packing contributed to market confusion. The Sealants Division of W. L. Gore came to us for help. 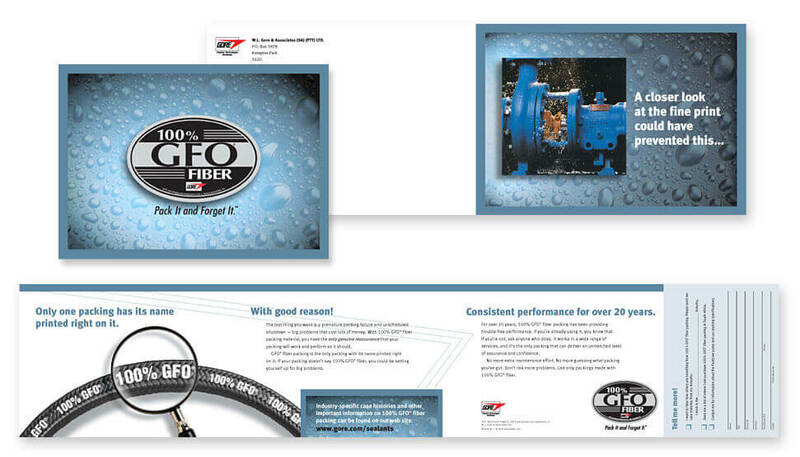 Our solution was to introduce a “seal of assurance” for GFO and its corporate branding efforts. We rolled out the “seal of assurance” campaign by employing the full range of tactics including print and digital advertising, direct mail and e-mail marketing, P-O-P materials, packaging, and signage. Plus … acting on another idea we had proposed to underscore the claim of product superiority, Gore began printing the GFO brand name right on the packing material itself. No more look-alike problems for this brand!